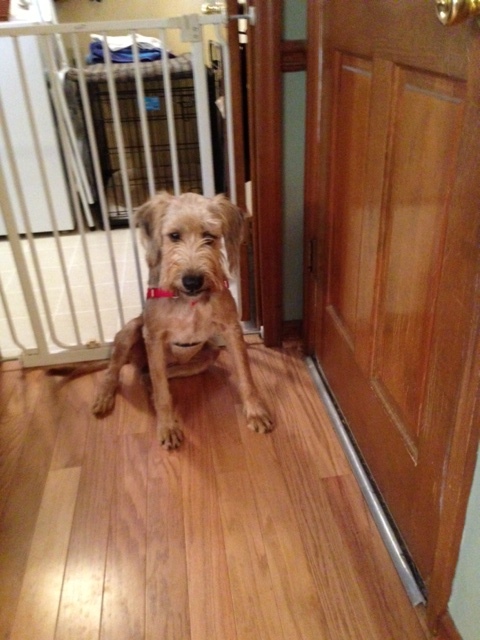 Shelly is a sweet yet very shy Airedale girl in ARG care. She is estimated to be 6 years old and she is 41 lbs. 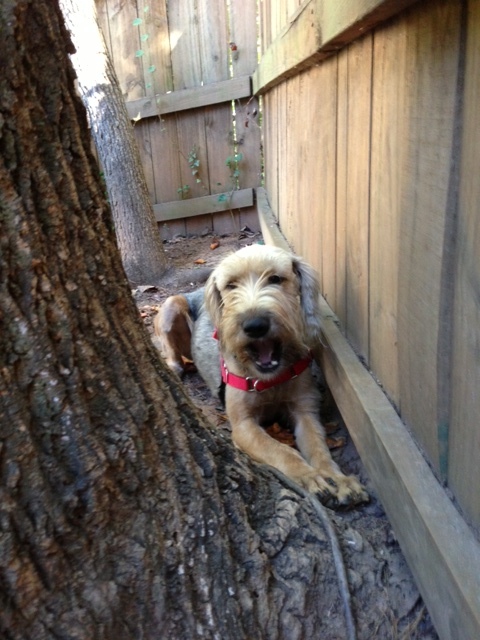 She was treated for heartworm infection on 10/26/2012 and she needs to be quiet and leash walked for one month. A chest radiograph to see if the heart or lungs had any obvious changes from the heartworm disease proved that the heart appears to of normal size and shape. Shelly is up to date on all of her shots, she is microchipped and spayed. Her personalilty is very sweet yet shy. She slowly gains trust and really enjoys a petting on the head. She loves to be with other dogs – a good trusty dog friend would be great for Shelly (although she would be fine as an only dog – as long as someone will spend lots of time with her). She has been given stuffy toys and she really loves them but just does not know what to do with it except have it near her. She has been groomed and she did well at grooming. She was very matted and the groomer had to shave her down. 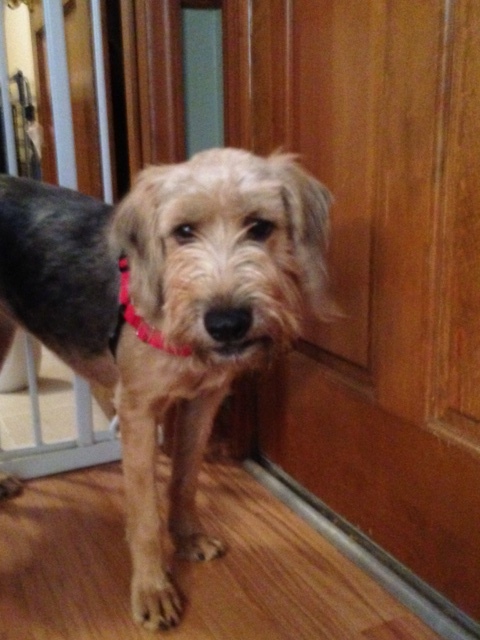 We were able to save the hair on her head – she has such a cute face. She loves a crate for security. 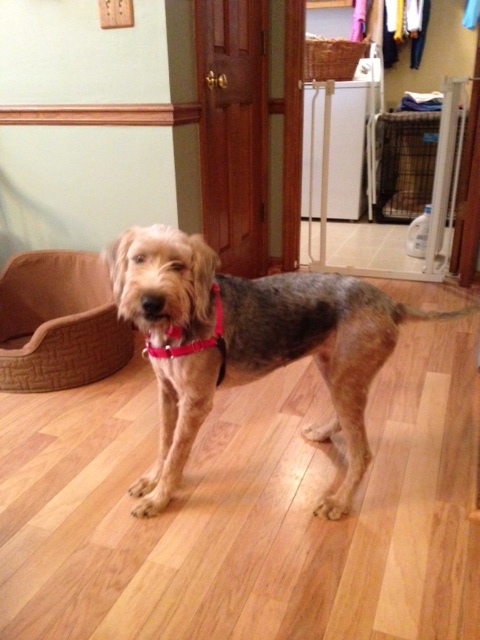 Next Airedale Rescue Group 2013 Calendar – Available!